There will come a time that you may need to do some housekeeping on your locations. This may be due to inactive locations or locations that had been used for one time only. Access the Location section through the left side menu. 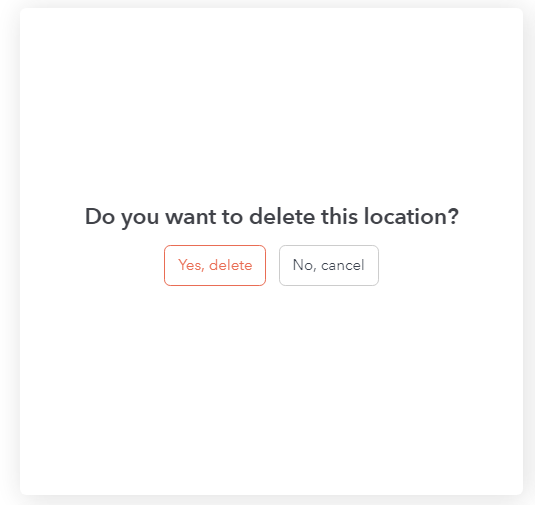 Search for the location you wish to delete. You can use the Search field to look for it. Once you find the location, click on the trash bin icon. You Will be prompted if you wish to delete the location. Click "Yes, delete" if you want to proceed with the removal of the campaign. Choose "No, cancel" if you change your mind. 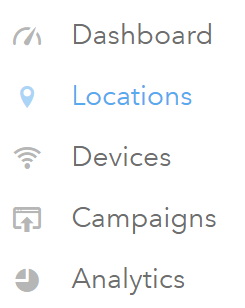 Once you delete a location, the assigned device will not broadcast the assigned campaign since the device and campaign are connected through the location. Spick and span! You have organized your Locations!